It's fitting that 5 year-old Livensi is patient #007. With his ready smile, intense eyes, and playful nature, our little James Bond Jr. entranced our group; we swooned over him from the beginning. This boy came to us from Bateo Guaimare in La Romana, a couple of hours away, with his Creole-speaking mother. Livensi is very different from the cleft lip and palate patients we were expecting to see. 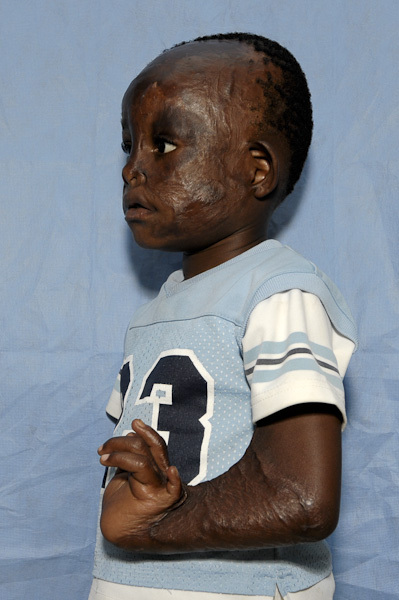 When Livensi was just 2 weeks old, his left arm, face and scalp were severely burned in a house fire. 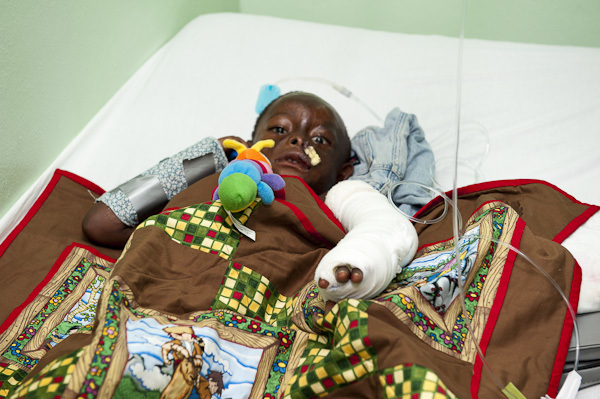 During clinic evaluation, doctors found it difficult to tell where his hand ended and his fingers began. His wrist was frozen backwards. Seeing him for the first time, those less-experienced among us (me) wondered what could be done for this absolutely charming boy in the short period of time allotted. Never having experienced this type of work before, I didn't fully appreciate the brilliance of the Rotaplast surgeons. Being able to watch Livensi's surgery is an experience that will stick with me forever. 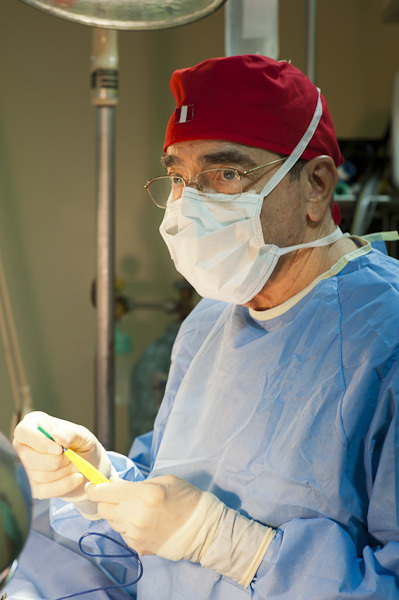 Dr. DeShazo did some great work on Livensi's face, taking a flap of skin from an umbilical hernia, removing any trace of fat, and then performing a graft. When Dr. DeShazo was finished, Livensi had a perfect little belly button and new patch of soft skin on his beautiful, shiny, albeit scarred face. 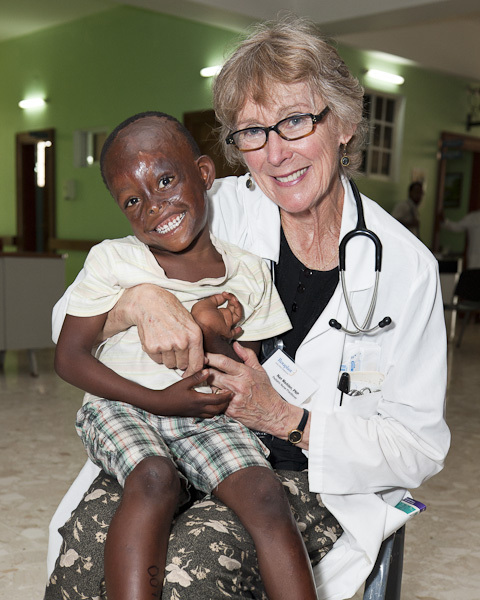 Dr. Werninghaus worked on Livensi's arm and hand with quiet, determined patience. The left elbow which had been bent for 5 years was straightened. The backwards wrist that hadn't served its purpose since the beginning of Livensi's life was released and now will be functional and flexible. This lovable little boy who never hesitated to greet us with a wave, now has five more perfect fingers to display. 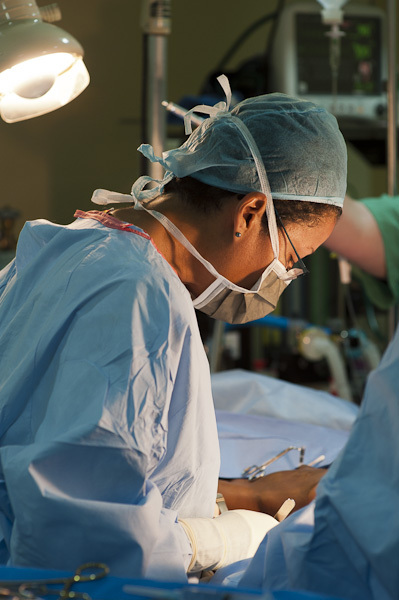 Those of us who were lucky enough to witness this life-changing surgery couldn't believe what we had witnessed. Livensi was given back the arm that was taken away when he was just an infant. The road to recovery won't be easy. The skin grafted onto Livensi's arm was taken from his thigh … for some patients, the donor site hurts more than the receiving site. He faces more surgery to remove the wires holding his wrist in place while the tendons stretch to accommodate the anticipated new range of motion. And with his swollen lip, eating and drinking will be painful for a while. We can only hope he'll receive the follow-up care he requires and deserves. But for now, Livensi is in our care and we will do everything we can for him.